Promotional vector graphics in glossy web 2.0 style set on a gray and white grid background image. Four shapes to choose, star, tear drop, triangle and rectangle and each with its own copy. 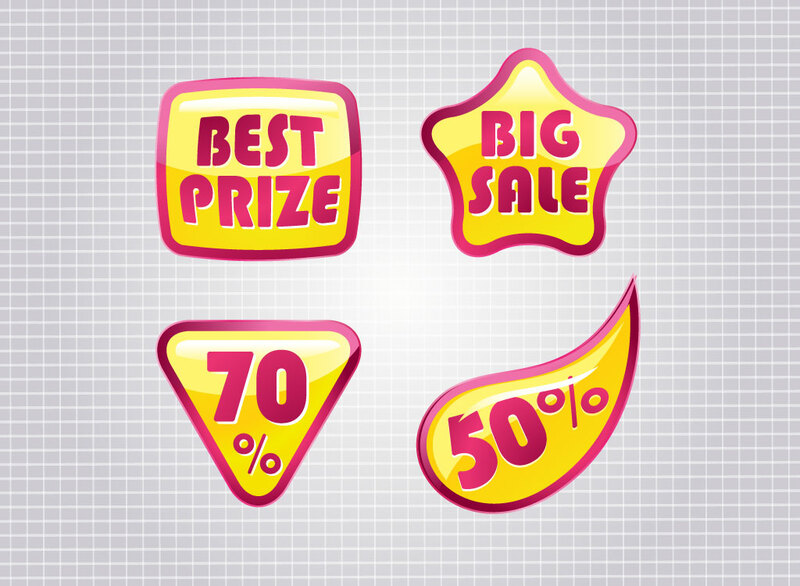 The free download vector pack features text like big sale, best prize, 70% and 50%. Tags: Advertising, Best Price, Big Sale, Decals, Reduction, Shop, Window Sticker.